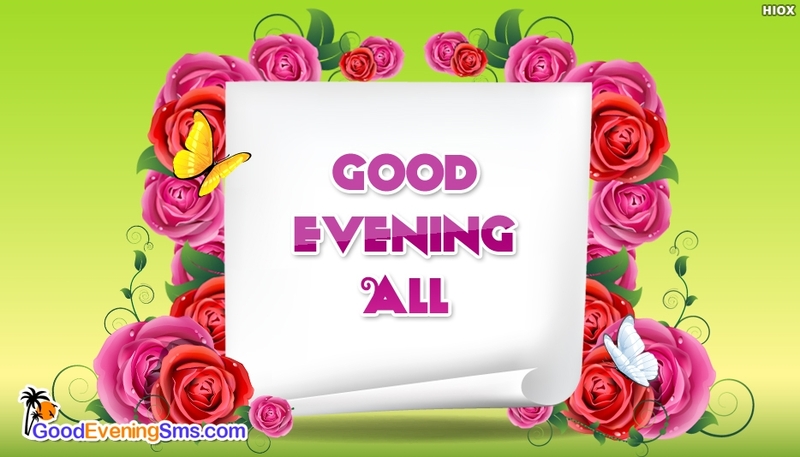 Wish your dear friends and family a warm goodevening by sending this "Good Evening All" picture to them. You can download this picture for free or share via email or through any social networking applications. Let this picture make this evening a more happy and a joyful one.